After the recent upsurge of demonetization, more and more people have resorted to digital transactions. But it is really tough to shred off the age old habit of dealing with notes and coins and use cards and online applications for monetary transactions. While some are confused, others are sceptical about the security of their accounts. Are you facing the same issues? Are you still in search for that great e-payment mode where payments can be made just with a wink of an eye and assures you of cent percent safety of your account details? Then check out Google’s newly launched mobile application, TEZ. Let us checkout if this app truly fulfils the needs of digital India. Google TEZ is a stand-alone application which caters to the mobile payment service in India. This application uses Unified Payment Interface (UPI) for monetary transactions across banks. The app has made its debut in the Indian market on 17th September, 2017. The application lets the Indian users go for e-payments bypassing the need for NFC accounts. It is also in news that in future, phones from Nokia, Micromax, Lava and Panasonic will come with a pre-loaded version of Google TEZ. This app primarily focuses on e-payments made in India. Google TEZ can be used by both Android and iOS phone users. Google TEZ has tie ups with major Indian banks and hence if you have a bank account you are eligible to use this application. From college students, office goers, housewives, entrepreneurs to small shop owners, anyone can experience the benefits of digital transactions with Google TEZ. Download the app from Playstore or App Store; this is a free app. Enter the mobile number which is linked to your bank account. Link your Google Account with the TEZ. Create a PIN or use device lock for the app security. Create your UPI ID or enter UPI if you already have one. Enter your debit card details which is linked to the same mobile number which you have entered. Enter the 4 digit UPI PIN. You are ready to use Google TEZ. Why opt for Google TEZ? 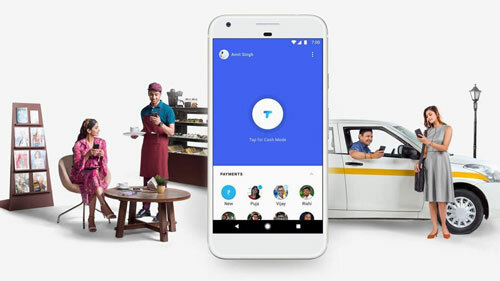 Google TEZ has been introduced in India keeping in mind the unique needs of the customers and business owners. It has different interface for both of these segments. With TEZ for business, traders can not only ensure secure payments but also can easily interact with the customers, promote their goods and services instantly through the app. As a customer you can use this digital payment mode to send money to your family across India, pay for movie tickets, restaurant bills and even to small shops at your neighbourhood. Small merchants and consumers need not pay anything for using the app. Using this app, users can directly make payment to the bank account of another TEZ user. There are different ways in which you can use Google TEZ. From the traditional methods of using account numbers to the modern way of using QR code to send money, from phone numbers to UPI IDs, transact the way you want. And the spark? You can even transact using cash mode through this app. Just say the amount and it gets send to the user through the ultrasonic audio feature! Google TEZ eliminates the need for creating different accounts or e-wallets. User will be paid only once for referring the same person. A user can earn a maximum of Rs 9,000 in a single financial year. The offer is available only till April 2018. So now Google is just not your favourite search engine but also you’re trusted helping hand for mobile payments. Be free from cash with this new innovation.